Kynar® PVDF (Polyvinylidene Fluoride) is a high performance engineering polymer for use when the Standard Celcon® Acetal Polymer does not meet the performance requirements of the application. Kynar® has provided superior chemical resistance properties in critical contact applications for food, pharmaceutical and semiconductor industries for over 20 years. 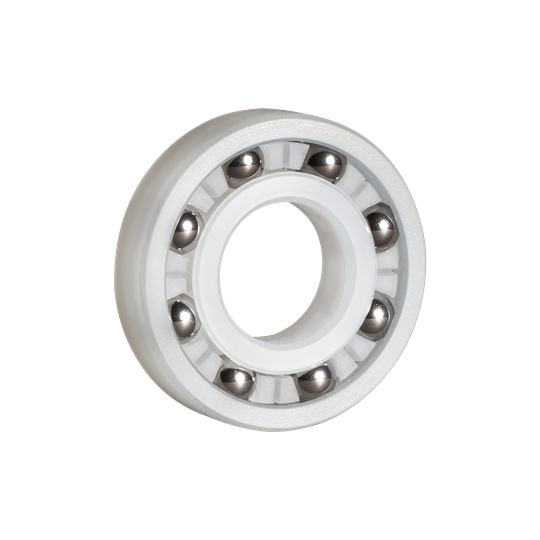 Kynar® applications include membranes, piping, tubes, valves, pumps, vessels, and now BEARINGS. For additional information please see Materials. Click here for PDF of Manufacturer’s materials specification sheet.